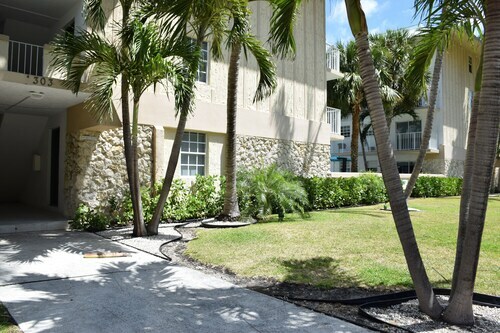 Situated in Key Biscayne, this apartment building is close to Bill Baggs Cape Florida State Park, Crandon Park, and Crandon Golf at Key Biscayne. Local attractions also include Rickenbacker Causeway Beach. 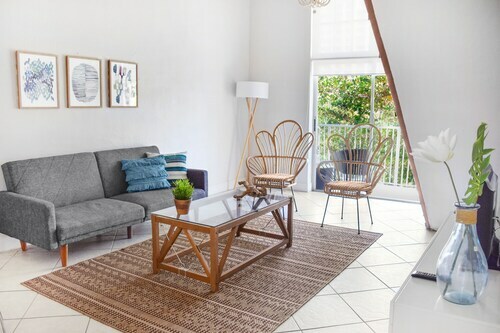 Situated in Key Biscayne, this vacation home is close to Bill Baggs Cape Florida State Park, Crandon Park, and Crandon Golf at Key Biscayne. Local attractions also include Rickenbacker Causeway Beach. 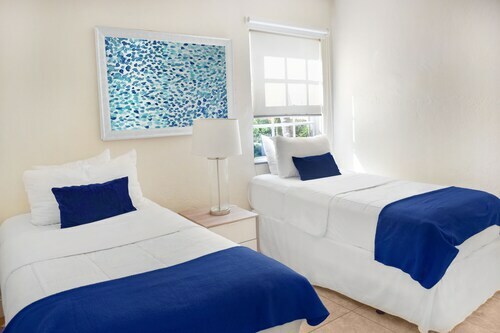 Situated near the beach, this hotel is 0.9 mi (1.5 km) from Crandon Park and 2.4 mi (3.9 km) from Biscayne National Park. Bill Baggs Cape Florida State Park and Crandon Golf at Key Biscayne are also within 3 mi (5 km). 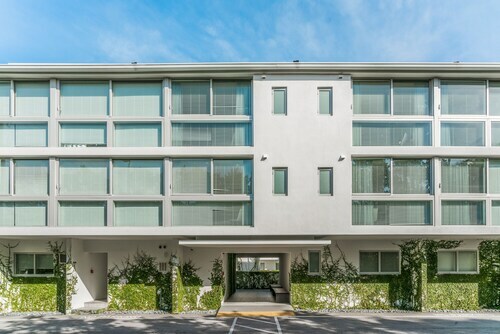 Situated in Key Biscayne, this property is 1.1 mi (1.8 km) from Crandon Park and 2.5 mi (4 km) from Biscayne National Park. Bill Baggs Cape Florida State Park and Crandon Golf at Key Biscayne are also within 3 mi (5 km). Located on a long stretch of golden-sand beach on the barrier island of Key Biscayne, this luxurious Miami-area resort blends European elegance with relaxed, Florida-style comfort; South Beach is 6 miles away. Situated in Key Biscayne, this historic property is 1 mi (1.6 km) from Crandon Park and 2.4 mi (3.8 km) from Biscayne National Park. Bill Baggs Cape Florida State Park and Crandon Golf at Key Biscayne are also within 3 mi (5 km). Situated in Key Biscayne, this property is 0.9 mi (1.5 km) from Crandon Park and 2.3 mi (3.6 km) from Biscayne National Park. Bill Baggs Cape Florida State Park and Crandon Golf at Key Biscayne are also within 3 mi (5 km). 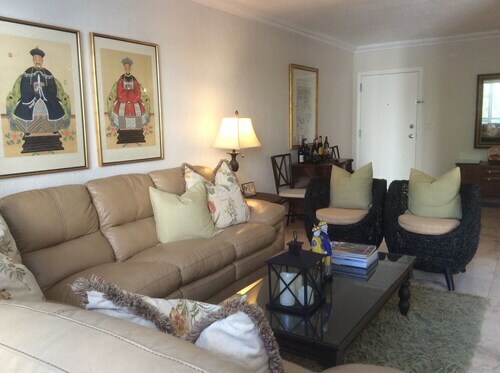 Offering direct access to the beach, this Key Biscayne condo building is in a shopping district, 1 mi (1.6 km) from Crandon Park, and 2.2 mi (3.6 km) from Biscayne National Park. Crandon Golf at Key Biscayne and Bill Baggs Cape Florida State Park are also within 3 mi (5 km). Situated in Key Biscayne, this property is 0.8 mi (1.2 km) from Crandon Park and 1.9 mi (3.1 km) from Biscayne National Park. Bill Baggs Cape Florida State Park and Crandon Golf at Key Biscayne are also within 3 mi (5 km). Situated by the ocean, this property is 1 mi (1.6 km) from Crandon Park and 2.4 mi (3.8 km) from Biscayne National Park. Bill Baggs Cape Florida State Park and Crandon Golf at Key Biscayne are also within 3 mi (5 km). Situated by the ocean, this romantic property is 1 mi (1.6 km) from Crandon Park and 2.4 mi (3.8 km) from Biscayne National Park. Bill Baggs Cape Florida State Park and Crandon Golf at Key Biscayne are also within 3 mi (5 km). At Bill Baggs Cape Florida State Park, you'll feel a sense of ease as you let go of all the worries and stresses of the modern world. Take an invigorating walk, enjoy the open skies and watch the birds flying overhead. Your body will thank you for it later. It's in Miami, a beloved city that draws travelers from all over the world. You'll only find 3 accommodations in the area. However, their excellent location more than makes up for the limited choice. Within 2 miles (3 kilometers) of Bill Baggs Cape Florida State Park you’ll find The Ritz-Carlton Key Biscayne, Miami and Coral Reef at Key Biscayne. Every traveler likes a bargain, and luckily you don't have to venture far to find one. There is a small selection of perfectly priced hotels a quick drive away. The Silver Sands Beach Resort and the GSA Luxury Apartments at One Broadway are a couple of the more reputable places. Do you have luxurious tastes? If so, you can find a small collection of upscale hotels located just a short drive away. Rooms at the Provident Luxury Suites Fisher Island and Fisher Island Club and Resort are ideal. After visiting all the major tourist sights, experience the offerings at Boaters Grill Restaurant (1200 Crandon Blvd, Key Biscayne), 0.3 miles (0.5 kilometers) away. Choose a quiet lookout, get comfortable and watch as day becomes night at Cape Florida Lighthouse. Stiltsville is a location you can visit to really get an understanding of its history. If you're hoping to keep up your fitness routine while enjoying your vacation, go to Biscayne Community Center & Village Green Park. Pack a simple picnic and spend an afternoon playing in the water and tasting the salty air at Crandon Park. Improve your swing and perhaps also take some strokes off your game at Crandon Golf Course. Need insider tips on must-see attractions in Bill Baggs Cape Florida State Park? Check out our Bill Baggs Cape Florida State Park travel guide! How Much is a Hotel Room in Bill Baggs Cape Florida State Park? 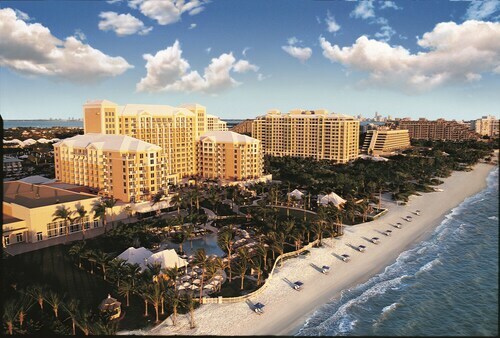 Hotels in Bill Baggs Cape Florida State Park start at $179 per night. Prices and availability subject to change. Additional terms may apply.